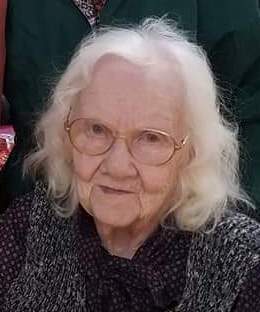 Elsie I. Glover Peterson, passed away, January 22, 2019. She was born May 18, 1919, to Walter Glover and Rosa Lamb in Sloan, Woodbury County, Iowa. She graduated from Glover School in Iowa. Elsie married George L. Peterson on June 27, 1942, in Salt Lake City, Utah, they were sealed in the Salt Lake Temple on June 27, 1952. They adopted LeRoi Peterson in 1954 and were sealed as a family in the Salt Lake Temple. She assisted Roy Peterson in his construction business doing accounting and business management. She lived in Roy, Utah and was a member of the Roy 2nd Ward. Elsie has a lifetime of memories with Roy; living in Salt Lake City, UT, Ontario, CA, Roy, UT, and Brigham City, UT. After being alone as a widow, she renewed a friendship of a close friend in Iowa, Henry Hollinger, who remained a close friend until his passing. She has had the privilege of living at the Peachtree Place in West Haven. A special thanks to all the staff and friends affiliated there. Elsie is survived by her son LeRoi W. (Valee) Peterson and her grandchildren, Denin Peterson, Jared Peterson, Tia Peterson, and Tiffany Hunt. She was preceded in death by her husband George LeRoy Peterson in 1994. Services will be held at 1:00 pm on Friday, January 25, 2019, at Leavitt’s Mortuary, 836 36th Street, Ogden, UT with a viewing from 12:00 – 12:45 pm.